I think the reason most people give up on sewing fashions for themselves is because of fit. Fitting yourself can be quite a challenge, especially if you don’t have someone to help you pin, measure, take a tuck in, etc. To be honest it can be quite a hassle, depressing and a very long process. But if you would take the time to get that perfect or almost perfect fit it can be so rewarding. It makes you feel and look great in your well fitted outfit, much better than a store bought fashion. 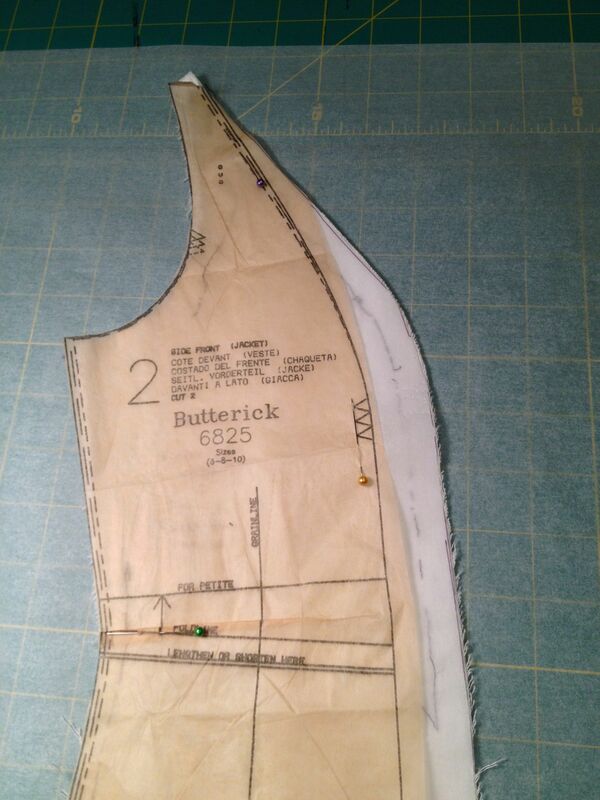 Also the more you fit yourself, the easier it becomes, then the more enjoyable the sewing process will become. 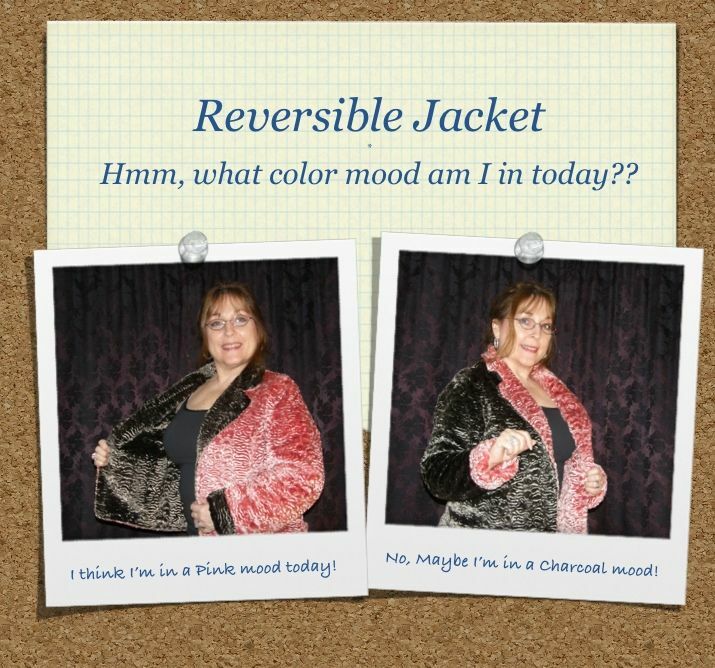 In this article I am going to show you some of the steps I took to alter the jacket pattern for my Reversible Jacket. We are all made of different shapes and sizes, so I know you won’t have the exact altering issues that I have, but I hope you can learn from these examples and apply them in some sort of way. Example, if I had to add to a curve, you might have to take away from a curve. Same basic process, I add and you subtract, basic math and geometry. 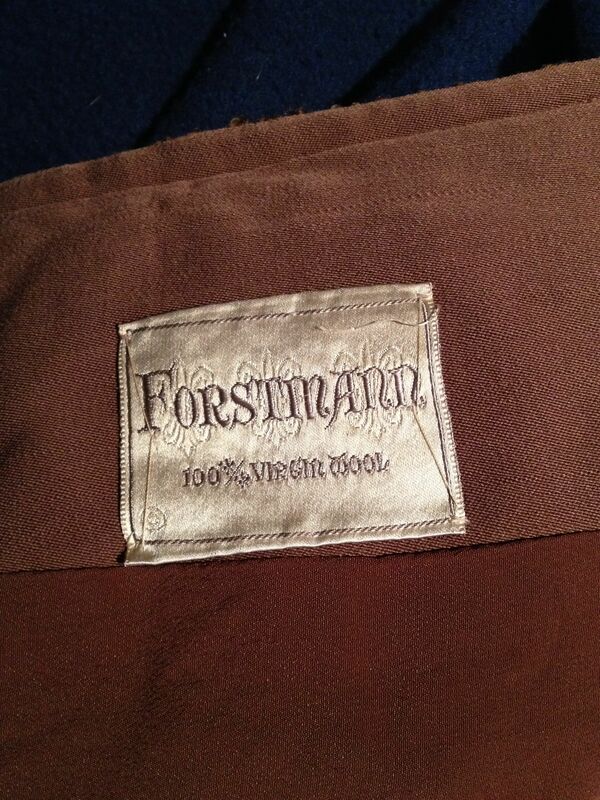 About 25 years ago I found a vintage Forstmann 100% wool bouclé jacket that was my husband’s grandmother’s. It was about to be thrown away and I saved it. I had it cleaned and I wore it a couple times, and it inspired me to want to make a more modern version of the jacket. It took 25 years but I finally made one. 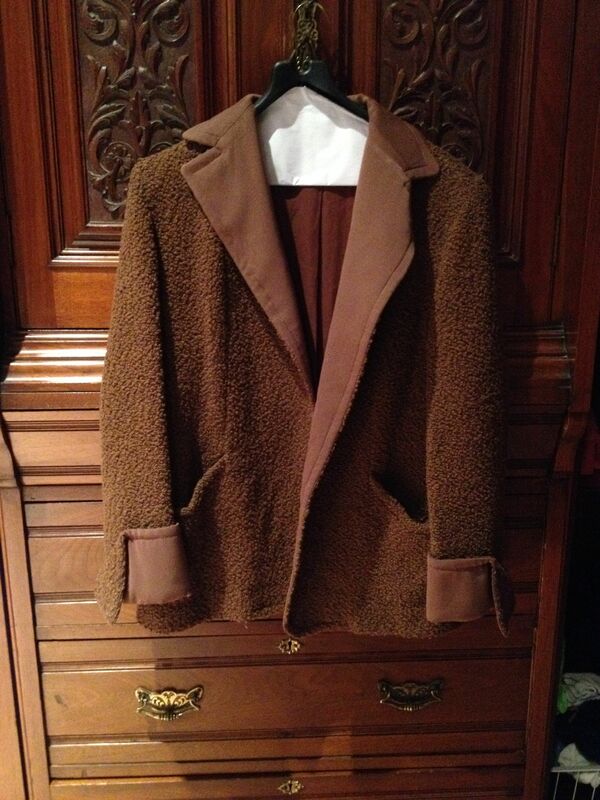 I am not a “wool” person so I knew I didn’t want to make the new jacket out of wool. 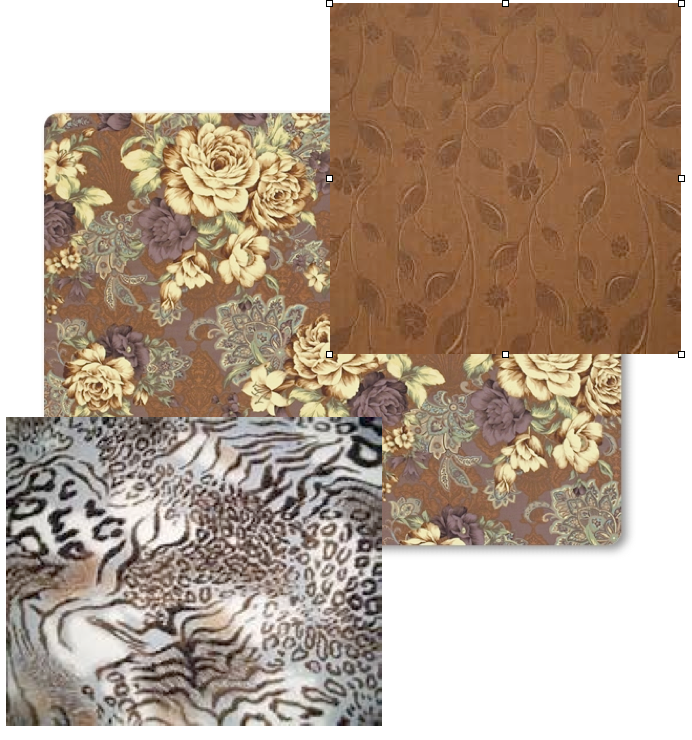 One day while fabric shopping for another project, this beautiful synthetic faux Persian lamb jumped out at me. It came in three colors, and I fell in love with two of them. I couldn’t make my mind up which was the prettiest, so I thought, why not make a reversible jacket, then I can have them both. 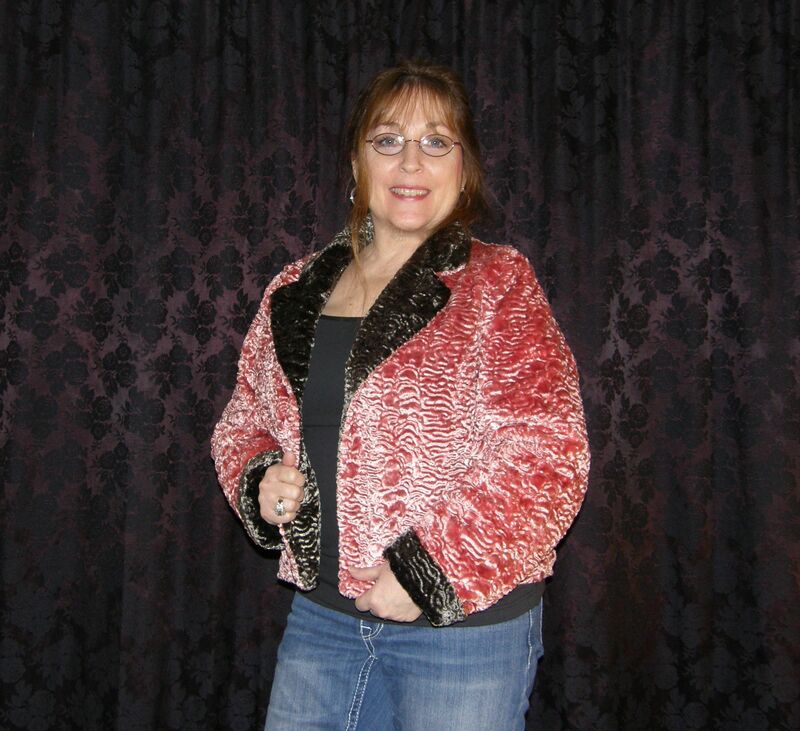 Here is the process in making this extremely soft and comfortable jacket. Fabric speaks to me, LOL. Sometimes I have an idea and I search for fabric, other times fabric jumps out at me and inspires me or challenges me to come up with a design just for it. That’s what happened with this fabric. I don’t know what the fabric is called, or what it is made out of, it was a remnant I bought many years ago at an American Sewing Guild event. The fabric is very soft, kind of spongy, stretches, and has a unique gimp looking pattern. When I looked at it, I thought hand cut fringe. I decided on making a coat out of it that would allow it to flow as I walked. When I wear this coat, sometimes for special occasions and sometimes with jeans, I get a lot of compliments on it from people I don’t even know, asking where I purchased it. To me, that is one of the greatest compliments a seamstress can get. I n this gallery article I want to give you a little preview of some of the things that I will be blogging about throughout the years. I will not limit us to only these creations, they will be filling in, between other new designs, ideas, organization, and thoughts I have along our journey. I love to sew and I tend to sometimes think outside the box. I like to push myself to try to out do my last project. I also like to just make something easy and simple, kind of like cleansing my sewing pallet. I am not in competition with others but with myself. 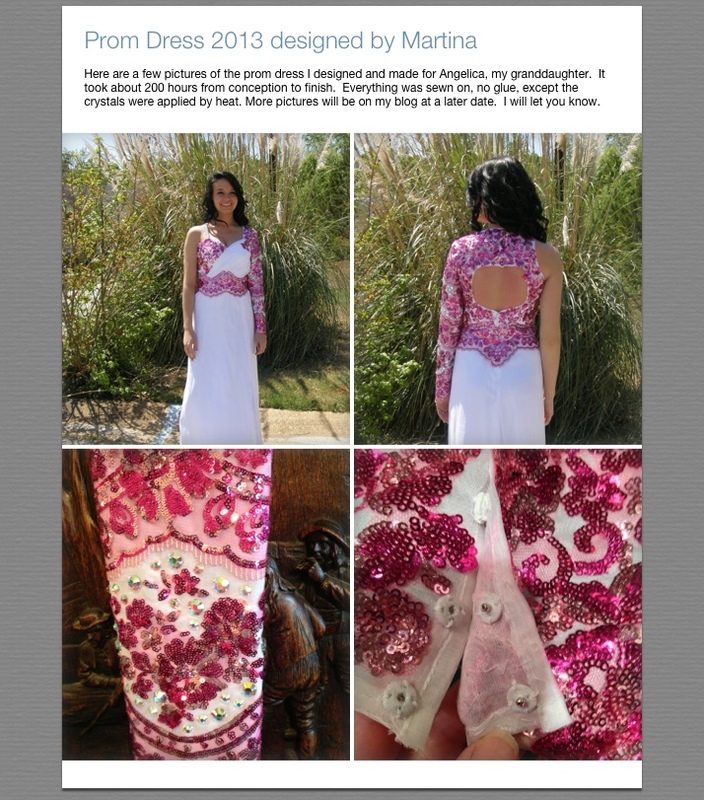 I love the appreciation and admiration that the sewing community have for each other’s talents. We are all at different levels and we all have a different flare for fashion, but yet we all inspire and help each other “grow” our sewing skills and our confidence in our sewing and confidence to wear our creations. I hope I can be an inspiration to you. Let’s have some fun together creating! Remember to laugh at your learning mistakes, making them into a creative challenge, and to dance at your victories and throughout the sewing process.